Pakistan has summoned India's Deputy High Commissioner J P Singh on 12 June and condemned the alleged firing by Indian troops along the LoC in which two Pakistani civilians were killed. Ministry of Foreign Affairs summoned Indian Deputy High Commissioner JP Singh to record Pakistan's protest over the firing by the Indian troops. Two civilians were martyred and three injured in Indian troops' unprovoked firing along the Line of Control (LoC) on Monday, according to the Inter Services Public Relations (ISPR), Geo TV quoted the army's media wing as saying. Indian troops resorted to unprovoked firing with heavy weapons in Jandrot and Hotspring (Tattapani) sectors along the LoC, the ISPR said in a statement. The Indians also fired mortars into the Pakistani side of the control line. 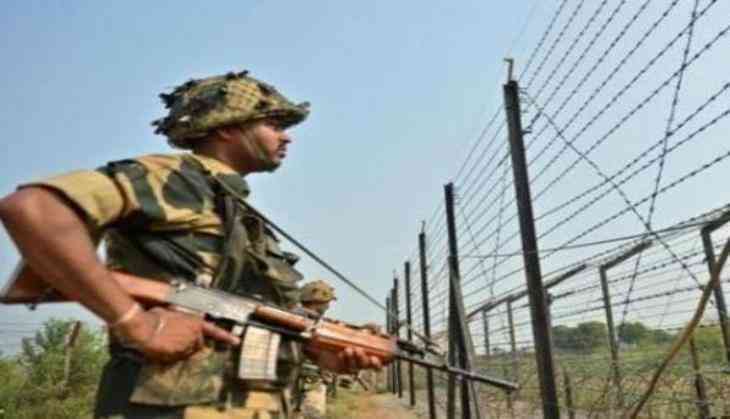 Manish Mehta, spokesperson for the Ministry of Defence said the Pakistani army resorted to indiscriminating firing and heavy mortar shelling on Indian positions in Krishna Ghati sector along the Line of Control in Jammu and Kashmir's Poonch district. Earlier on May 11,Pakistan summoned India's deputy high commissioner to "condemn" the alleged ceasefire violation by India along the Line of Control in Tandar, Subzkot, Khuiratta, Baroh, Bagsar, Khanjar sectors in Pakistan-occupied Kashmir (PoK) that killed a man and injured three others. Meanwhile, India has decided to release 11 Pakistani prisoners, who had served out their sentences, and repatriate to Pakistan via the Attari- Wagah border on Monday as a goodwill gesture. The ceasefire violations along the Line of Control have become a common occurrence and since 1st June, this is the ninth ceasefire violation by Pakistan army and in the last 72 hours, this is the sixth ceasefire violation. Manish Mehta, spokesperson for the Ministry of Defence spoke to ANI, Pakistan have been using heavy mortars, RCL guns, RPGs and heavy automatics in its ceasefire violations. He also stated that Indian Army has been giving befitting reply 'in equal measure' to Pakistan. Indian army has been since then retaliating to these attacks. India had moved the International Court of Justice seeking a stay on the execution of alleged Indian spy and former Indian Naval officer Kulbhushan Jadhav, who the Pakistan Military Court had accused of being involved in subversive and espionage activities. The ICJ had given its verdict in India's favour following which the tension between the two neighbouring nations escalated to even higher levels. Earlier on June5, Indian Army DGMO has warned his Pakistani counterpart in connection to the unprovoked attacks which India has been witnessing. Moreover, the major allegation against Pakistan army has been that of abetting infiltration by terrorists.